Home Hotels & Resorts Are you embracing multi-generational trend for your fair share? What with working mothers, soccer practice and socializing, getting the family around the dinner table is not as frequent an occurrence as it used to be, says a 2013 Harris Interactive poll. Starved for quality family time together, Americans have discovered another way to rehash the day. That is, leave the house and leave town. Take the family on the road, down the river or out on the high seas. And bring the grandparents, too. Baby boomers are a big part of the reasons why multi-generational travel is booming. As they leave the corporate life behind, they’ve got their good health, a bucket list burning a hole in their pocket and far-flung family members they’d like to see more of. Today’s boomers are putting away the briefcase, packing a suitcase, and the whole family’s invited to close the generation gap. In a recent study by Preferred Hotel Group, a seriously significant 40 percent chunk of U.S. leisure travelers polled indicate that they’ve taken such a trip within 12 months. 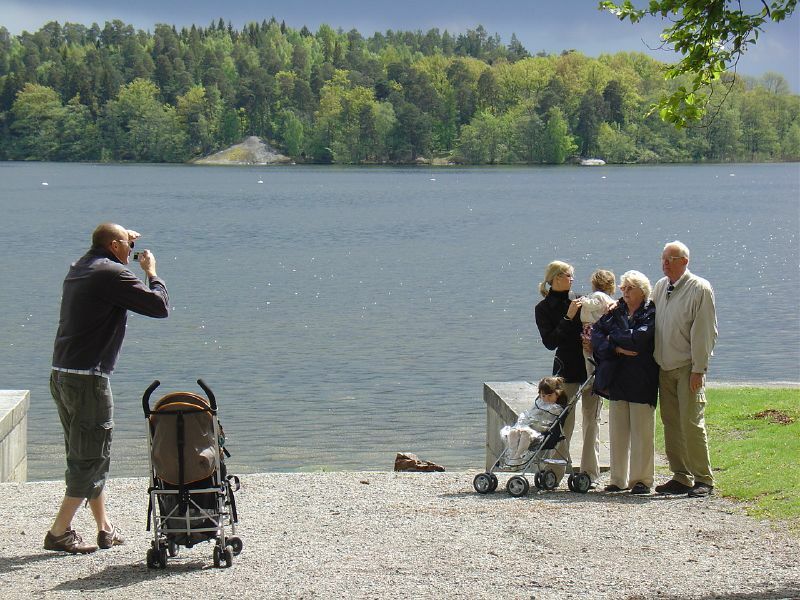 MMGY Global’s 2013 Portrait of American Travelers found that one in five leisure travelers is now a grandparent, one-third of whom have traveled with grandchildren recently. It’s different than an extended family reunion at the lake. The latest family trend is about connecting and making memories with loved ones. It’s about family group sizes requiring just two to four rooms or suites. Cruise lines, tour operators, hotels and resorts are catching up with the multi-generational family market leaders as fast as they can. How sophisticated today’s kids can be. White papers indicate their involvement in the online search and planning process. Noting a year-on-year rise in bookings for groups of five or more, luxury operator Abercrombie & Kent curated an impressive global portfolio of more than 200 villas and ski chalets with hosts on hand to arrange family activities. River cruises have seen exponential rise; Tauck introduced their first in 1992 and now has 20 itineraries on 8 rivers, plus a small ship and expeditionary vessel program. Back in the late 90s, Disney Cruises pioneered family staterooms with a new layout and 1.5 bathrooms…and with equally well-thought out programming onboard. Hoteliers looking at their fair share can draw on a wealth of modeling and best practices touching on the rooms division, catering, F&B, sales. Consider adjoining guest rooms with fridges, private dining rooms, menu choices, concierge services, transportation options, pet-friendly policy and free Wi-Fi. Unlimited opportunities revolve around in-hotel and resort activities from round robin tennis to cooking classes. Multi-generational travel could be a perfect market for leisure-oriented properties too small for weddings and catered affairs. If you think you’re not a destination property, think some more. Social media means that, more than ever, local yokels are your built-in evangelists-in-the-making for spreading the word about your appeal. It’s human nature for people to brag about where they live and want to share it with others. Invite underemployed bloggers, enthusiastic Yelpers and Instagram-loving photographers to your property to show off what you’ve got. Work the church fair and the PTA, connect to boomers, tweet. Does your property have creative, dedicated sales staff living locally and maximizing targeted community outreach? It is common sense that travelers of different generations have unique needs and desires. Coyle Hospitality Group can assist brands looking to create service offerings that are perfectly positioned to these disparate travelers. Contact us today, to learn how Coyle makes designing hotel, resort, cruise and tour standards development and measurement simple and easy.